Anyone who's ever mixed up the salt with the sugar can tell you that pantry labels exist for a reason. But they can do a lot more than just save you from a baking disaster. Labels add punch and character to your pantry, not to mention structure and ease, giving you a chance to personalize your kitchen decor while adding a fun and functional element to your home. 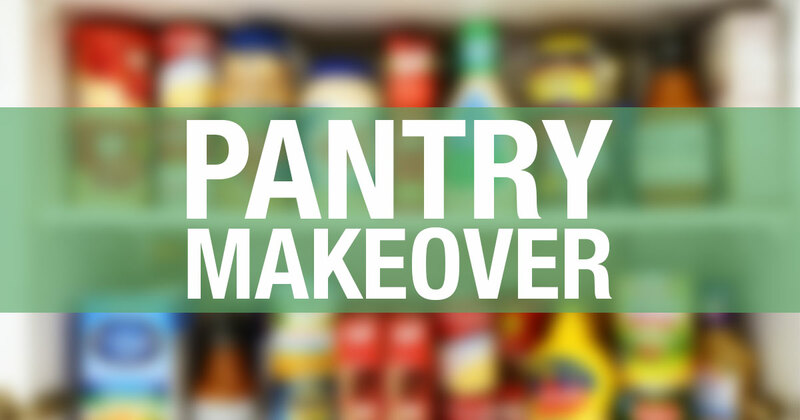 Here are three unique ways you can use chalkboard labels to give your pantry or kitchen a makeover. Use a piece of chalk or a chalkboard marker to write on these authentic chalkboard labels. They're removable, repositionable, and reusable, making them great for projects like this! Product labels can add visual clutter to your kitchen and pantry. Re-label your canisters with chalkboard labels and only list the name of the product — you'll have an easier time finding things and now you can standardize how they look! There are many decor styles to choose, but to truly make your kitchen or pantry something to marvel at, keep it consistent. If you like the modern look, place everything in matching containers and use the same fancy square chalkboard label or round chalkboard label across the board. If you want to err more on the creative side with mismatched container sets, use our chalkboard label variety pack with a unique selection of shapes and sizes that can help you keep the theme alive. Forget having to quickly grab and reshelve the olive oil night after night. Leave frequently used items on the counter, instead. 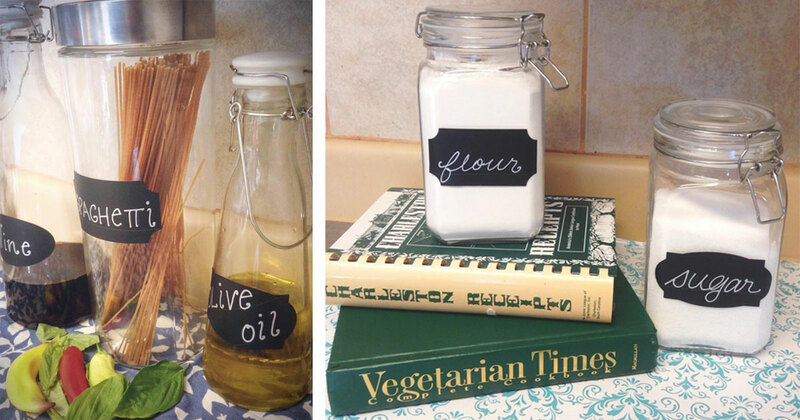 With the addition of a beautiful label, your go-to ingredients can double as decor! Pro tip: This trick inadvertently opens up more space in your pantry! Now you'll have more room to find things and you can add additional products. Stock your pantry not just with good food but with great labels! Use our circles, decorative squares, or variety set to take your pantry from zero to hero. Feeling crafty? Go with our full sheet (with back slit) chalkboard labels to cut your own shapes by hand or our full sheet (no back slit) chalkboard labels with an electronic paper cutter for custom made shapes! Written by Erin Pearlman in collaboration with Erin Vaughn of Modernize, a company that connects homeowners with energy-efficient contractors in an effort to empower homeowners to take on big home projects with confidence. Shipping can be a challenge for ecommerce businesses, but there's no reason it has to be. We compiled this comprehensive guide to make this process easier.